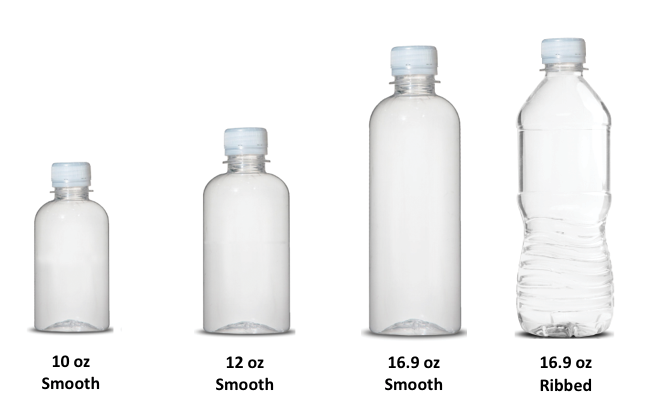 Bottled Events offers a selection of both ribbed and smooth styles in three sizes: 10oz, 12oz, and 16.9oz. All bottles are BPA-free and come with clear caps. All our bottles are 100% recyclable. Smooth bottles use 50% less plastic made from polyethylene terephthalate (PET) and our ribbed bottle is made of recycled polyethylene terephthalate (rPET), also know as post-consumer PET. Previous post: Need a larger quantity than what’s listed online? Bottled Events supplies private label water and custom labeled bottled water to events of all sizes like corporate promotions, trade shows, or weddings. Order as little as one case or enough for a sold-out concert – Bottled Events handles it all with the same friendly customer service and up-front pricing. © 2019 Bottled Events. All Rights Reserved.